There are many gourmet recipes that call for expensive and/or hard-to-find ingredients that are way out of my league, but I’ve found that using spices when cooking is one of the easiest, frugal ways to make both healthy and tasty meals that my family loves. Spices can give any bland dish a powerful, flavorful “punch.” For example, I’m not a fan of plain, steamed vegetables (neither is my family), but if I season veggies with a little salt and garlic powder even my one year old loves them. Score! These spices can be purchased inexpensively at grocery stores (by using coupons combined with sales) or at stores like Sam’s Club or Costco. I’ve even purchased dried herbs and spices from Aldi and I’ve been pleased at the quality and price. 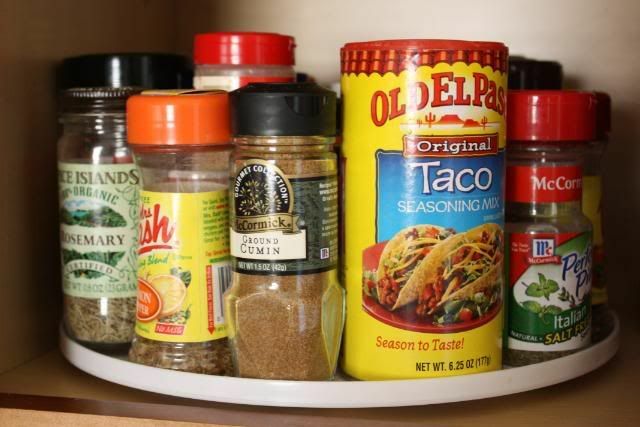 I store my herbs and spices on a turntable that is near my stove. I love experimenting with different flavors as I cook – you can’t really mess up, I promise! Spices have a shelf life of around six months – then they begin to lose their potency. You can test your spices’ potency by either shaking (the container) or by crushing a bit of the spice. If there is no aroma then it’s time to throw it out. My Mom has always stored bulk spices in the freezer to extend potency. Two of my favorite recipes that use multiple spices are Homemade Pizza Dough and Spicy Chicken and Rice Casserole. My sister is an amazing cook and she inspires me to be brave and use spices more and more. Both these recipes have her signature touch on them. If you feel like you are in a cooking rut, try building up a great herbs and spices stockpile and start experimenting with them in your cooking. 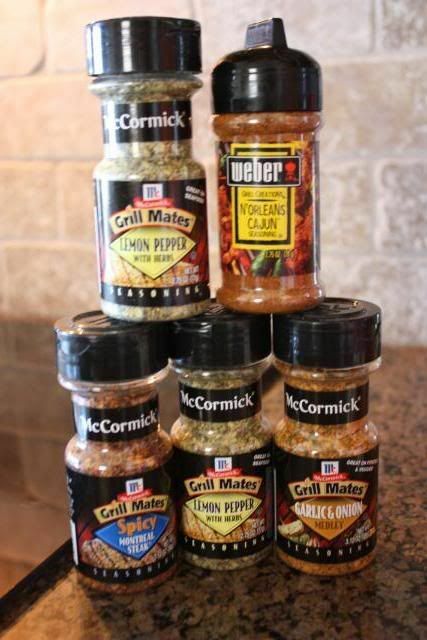 Your family is sure to love the new flavors in their meals! Do you use a lot of spices in cooking? Do you like to experiment with herbs and spices? — Myra enjoys her days as a SAHM and wife to her childhood sweetheart. She blogs at My Blessed Life about various topics to inspire your heart and your home. You can also find Myra on twitter @blessedlife2 and Facebook .